Romus Valton Burgin (August 13, 1922 – April 6, 2019)  was an American author and United States Marine. A mortar is usually a simple, lightweight, man portable, muzzle-loaded weapon, consisting of a smooth-bore metal tube fixed to a base plate with a lightweight bipod mount and a sight. They launch explosive shells in high-arcing ballistic trajectories. Mortars are typically used as indirect fire weapons for close fire support with a variety of ammunition. Andrew Allison Haldane, known as Andy and nicknamed "Ack-Ack", was an officer in the United States Marine Corps in the Pacific theatre during World War II. He was shot and killed during the Battle of Peleliu. Haldane is "one of the most revered figures in the history of the U.S. Marines." Martin McCann is an actor from Northern Ireland. USS Peleliu (LHA-5) is a Tarawa-class amphibious assault ship of the United States Navy, named for the Battle of Peleliu of World War II. Entering service in 1980, she has been deployed to the Persian Gulf on several occasions, performed an evacuation of U.S. Naval Base Subic Bay following the eruption of Mount Pinatubo, operated with the INTERFET peacekeeping taskforce, participated in Pacific Partnership deployments, and provided assistance following the massive floods in Pakistan in 2010. She was decommissioned in San Diego, California on March 31, 2015. She currently rests, out of commission and in reserve, at NAVSEA Inactive Ships On-site Maintenance Office, Pearl Harbor, Hawaii alongside USS Tarawa in the inactive reserve in case of further need. Simon Bolivar Buckner Jr. was a lieutenant general in the United States Army during World War II. He served in the Pacific Theater of Operations and commanded the defenses of Alaska early in the war. Following that assignment, he was promoted to command the 10th Army, which conducted the amphibious assault on the Japanese island of Okinawa on April 1, 1945. He was killed during the closing days of the Battle of Okinawa by enemy artillery fire, making him the highest-ranking U.S. military officer lost to enemy fire during World War II. The 1st Marine Division is a Marine infantry division of the United States Marine Corps headquartered at Marine Corps Base Camp Pendleton, California. It is the ground combat element of the I Marine Expeditionary Force. The 1st Marine Regiment is an infantry regiment of the United States Marine Corps based at Marine Corps Base Camp Pendleton, California. The regiment, sometimes known as "Inchon" or Regimental Combat Team 1, falls under the command of the 1st Marine Division and the I Marine Expeditionary Force. With the Old Breed: At Peleliu and Okinawa is a World War II memoir by Eugene Sledge, a United States Marine. Since its first publication in 1981, With the Old Breed has been recognized as one of the best first-hand accounts of combat in the Pacific during World War II. The memoir is based on notes Sledge kept tucked away in a pocket-sized Bible he carried with him during battles he fought at Peleliu and Okinawa. 3rd Battalion, 5th Marines is an infantry battalion in the United States Marine Corps. The battalion is based at Marine Corps Base Camp Pendleton, California and consists of approximately 1,000 Marines and Fleet Marine Force Navy personnel. The 3rd Battalion falls under the command of the 5th Marine Regiment which falls under the command of the 1st Marine Division. Sergeant Elbert Luther Kinser was a United States Marine who sacrificed his life at the Battle of Okinawa during World War II. He threw himself on a grenade, absorbing the explosion with his body and protecting his men, for which he received the Medal of Honor. It was presented to his parents on July 4, 1946 in Greeneville, Tennessee. Eugene Bondurant Sledge was a United States Marine, university professor, and author. His 1981 memoir With the Old Breed: At Peleliu and Okinawa chronicled his combat experiences during World War II and was subsequently used as source material for the Ken Burns PBS documentary The War (2007), as well as the HBO miniseries The Pacific (2010), in which he is portrayed by Joseph Mazzello. Helmet for My Pillow is the personal narrative written by World War II United States Marine Corps veteran, author, and military historian Robert Leckie. First published in 1957, the story begins with Leckie's enlisting in the United States Marines shortly after the 1941 attack on Pearl Harbor. Sadae Inoue was a general in the Imperial Japanese Army in World War II. He commanded the Japanese forces at the Battle of Peleliu and the Battle of Angaur. Kunio Nakagawa was the commander of Japanese forces which defended the island of Peleliu in the Battle of Peleliu which took place from 15 September to 27 November 1944. He inflicted heavy losses on attacking U.S. Marines and held Peleliu Island for almost three months. On the evening of 24 November, after the battle was lost, he performed seppuku in the tradition of Japanese samurai warriors. He was posthumously promoted to lieutenant general. The 29th Marine Regiment is an inactive infantry regiment of the United States Marine Corps. 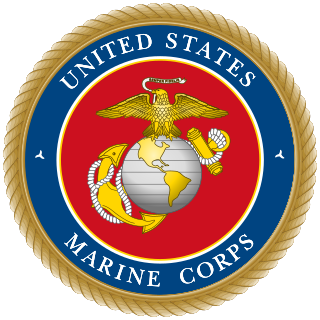 Although it was the last Marine Corps regiment activated for service in World War II, it fought in the battles of Eniwetok, Guam and Okinawa. The regiment was under the command of the 6th Marine Division; took part in the occupation of Northern China following the war and was subsequently deactivated in 1946 as part of the post war drawdown of forces. Richard Potts Ross Jr. was a highly decorated officer of the United States Marine Corps with the rank of Brigadier General. He is most noted for his service with the 1st Marine Division during the Battle of Okinawa and later during the Occupation of North China. The Joint Assault Signal Company (JASCO) were joint service units that provided ship to shore, air to ground communications to coordinate and control Naval Gunfire and Close Air Support to the United States Army. They were composed of specially trained Marines, Sailors and Army officers and enlisted. The Army component was composed of Air Liaison Officers, modern day Forward Air Controllers and enlisted communications technicians. JASCOs were created in the Pacific because of communication clutter, too many small teams to be effective. After the costly invasion of Tarawa the need for centralized command and control of air and naval fire support, utilizing Navy, Marine or Army gunners, spotters and radiomen was seen. Based on the Guadacanal experience of Major General Alexander A. Vandergrift the Joint Assault Signal Companies were formed. 1 2 3 4 5 6 7 8 "Marine recounts brutal war in Pacific 'Islands': Former Marine R.V. Burgin writes about fighting in WWII". MSNBC Interactive - MSNBC.com. April 9, 2010. TODAY books. 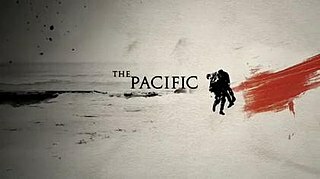 ↑ "Veteran wants war tales of the Pacific to be remembered". The Dallas Morning News . June 26, 2005. ↑ Burgin, Joe D; ASN: 38482046 . 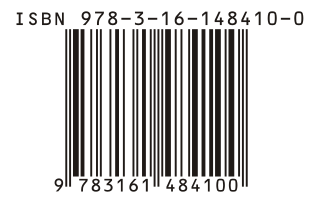 - Electronic Army Serial Number Merged File, ca. 1938 - 1946 (Enlistment Records). - U.S. National Archives and Records Administration. 1 2 3 "Veteran R.V. Burgin Fought In 'The Pacific'". March 11, 2010. 1 2 "Texan's Pacific war memoir used for HBO mini-series". Houston Chronicle . April 3, 2010. ↑ Burgin, R.V. Islands of the Damned: A Marine at War in the Pacific. ↑ Sloan, Bill (2005). 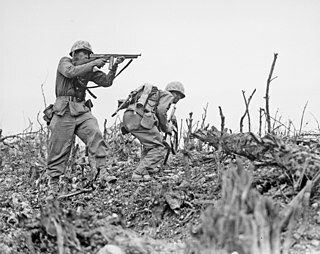 Brotherhood of Heroes: The Marines at Peleliu, 1944 -- The Bloodiest Battle of the Pacific War. Simon and Schuster. p. 21. ISBN 978-0-7432-8460-8. 1 2 Granberry, Michael (March 14, 2010). "'The Pacific,' book spotlight Lancaster veteran's battle story". The Dallas Morning News . ↑ "Romus Valton Burgin Obituary"